The above quote is from Mindi, describing what happened when she left her 16-year marriage to an abusive husband in a Hasidic community. How can support persons, advocates and communities help Hasidic Jewish women who are being abused by their husbands? First, a little background. Jews in the U.S. and around the world are diverse in many ways. A small but highly visible sliver of the Jewish community is made up of Hasidic Jews. Hasidic people (called Hasidim, from the Hebrew), tend to dress quite distinctively; men typically wear dark coats and hats, and married women wear high-neck dresses and cover their hair with wigs or scarves. They constitute less than 6% of U.S. Jews. However, their absolute numbers and percentage of the Jewish population is growing because of their large families. Hasidic communities are guided by a singular leader whom they view as their liaison to God. Most Hasidim live in communities in Jerusalem, Israel or in the greater New York City area, although there are small communities in other places. Hasidim often educate their children in private schools called Yeshivas, where they typically teach in Yiddish and Hebrew. The children normally do not begin to study English until they are 8 years old, and these secular studies are usually for just an hour a day. The language barrier often leaves them unable to find employment or function easily outside of their religious community. Hasidic rabbis try to shield children from modern secular communication through banning smart phones, Internet access and non-religious books. Hasidic communities tend to be tight-knit and gender-segregated, relying on the community for all their needs. Many Hasidic communities have robust organizations that serve as safety nets for people with low incomes, illness or disabilities. Living separate and disconnected from the secular world can isolate victims of abuse and lead to a lack of protection. Hasidic daughters usually marry young, often as young as the law allows. (In fact, in New Jersey the Hasidic community was the primary force opposed to raising the legal age of marriage to 18). Hasidic parents typically arrange their children’s marriages and young women usually have little say in the choice of their future husbands, with whom they spend a limited amount of time, generally just a few hours, before they marry. Once married, in most Hasidic couples, the wives are responsible for all household duties such as cooking, cleaning and childcare, while husbands devote their lives to studying the Torah. While this arrangement is traditional it does not necessarily imply abuse. Many Hasidic men value their wives and treat them well, makingtheir lives easier by providing love and practical support. However, some Hasidic men have difficulty relating to women in positive ways. While growing up, they may have had little contact with girls or women other than their mothers. Hasidic children typically have zero sexuality education and no training in consent or sexual relationships. The lucky ones have had models of loving relationships in their homes. The less lucky ones enter marriage unprepared to be a caring partner. Highly observant Jews obey 613 laws regarding all aspects of their lives.Many Hasidic men believe it is their role to force, cajole and corral their family members into adherence. This can lead Hasidic men to feel justified in using coercive control with their wives. What happens when a Hasidic husband abuses his wife? Her family and friends are apt to tell her not to complain or make trouble in order to preserve the marriage. The woman may turn to rabbis and their wives for guidance. Hasidic rabbis aim to keep families together and preserve the community, so they often urge abused women to be patient. They may counsel husbands to stop engaging in physical violence because it is not permissible in Judaism. However, most rabbis will have difficulty recognizing the importance of other forms of abuse such as coercive control, and economic or sexual abuse. “These are not even part of the conversation,” according to Chani Getter, who grew up and married in a Hasidic community before leaving a difficult marriage and becoming Director of Special Initiatives at the nonprofit Footsteps. (Footsteps describes itself as an organization that supports and affirms individuals and families who have left, or are contemplating leaving, insular ultra-Orthodox Jewish communities in their quest to lead self-determined lives). Like others coping with domestic violence, many abused Hasidic women initially do everything in their power to make their marriages work. Some tolerate the abuse throughout their lives. They often hesitate to speak openly about their abuse experiences, knowing they risk being shunned, shamed and stigmatized as a woman who is sacrificing her home and her children’s futures for her own benefit. Any “stain” on the family, such as divorce, makes the children less valuable as future marriage partners. The community may harshly judge women fleeing to safety, rather than their abusive husbands. A father sometimes elicits community support to help him fight for child custody by slandering his children’s mother. Some fathers have raised hundreds of thousands of dollars to pay for their attorneys by using GoFundMe Campaigns in Yiddish, at times including false allegations that a mother was abusive or was converting their children to other religions. Hasidim see taking children out of the community as risking their souls. These battles lead some Hasidic communities to reject the mothers and instead offer support to an abusive father in his attempts to claim child custody. 1) The Rabbinical court (Beth Din) grants custody to the mothers who agree to raise the children in extremely observant conditions. 3) Shunned by their community and needing employment, the mothers often further their education and/or work outside the home, expanding their horizons and sometimes leading to less religious observance. 4) Community members or estranged family members may stalk and harass the mothers, spying on them, taking photos through their windows and trying to “catch” the mothers doing something that breaches religious requirements such allowing their hair to show, not keeping the Sabbath or permitting the children to speak with people outside the community. 5) The fathers then fight for custody, sometimes successfully, claiming the custody agreement has been violated. Some courts have succumbed too easily to this kind of argument, mistakenly giving heightened value to maintaining the children’s religiosity over the importance of children staying with the non-abusive parent who has provided most of the care throughout the child’s life. (The New York State courts found this unconstitutional in the August 2017 reversal of Weisberger vs. Weisberger). The court may also assign the children therapists and even lawyers who are closely aligned with the Hasidic community or who work exclusively within the community and who overlook the individual family’s circumstances. Rabbis who work on behalf of the father’s fight for custody may lack professional credentials but nonetheless be relied on to assess children’s emotional needs. This situation and these agreements then serve as tools of post-divorce coercive control. Community: Because Hasidic women who leave an abusive partner may be shunned by their former communities and even their families, they need new formal and informal supports. Women’s support groups, collective housing for women and their children, gatherings for religious holidays, collective workplaces and organizations specifically dedicated to people leaving Hasidic communities (e.g. Footsteps) can all help a person build a new sense of belonging. Dietary and Sabbath Needs: Observant Jewish women who are fleeing abuse may have special dietary restrictions and may need to engage in certain activities on their Sabbath and holidays while avoiding others. These religious mandates should be honored wherever they are seeking shelter. 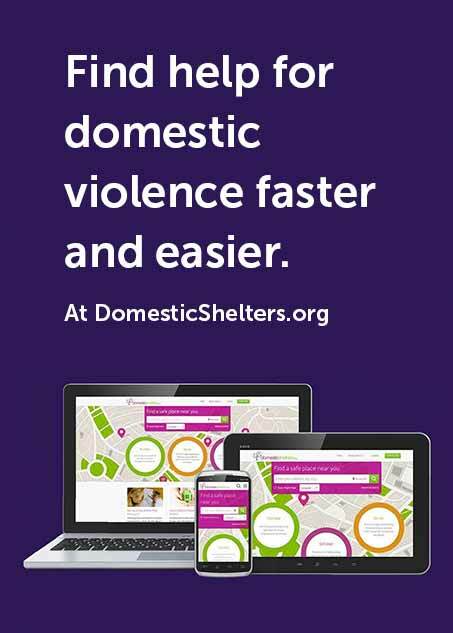 Domestic violence shelters in Toronto and Rockland County, NY, have kosher kitchens available. Interpersonal Dynamics: People who have grown up in small ethnic communities, such as Hasidim, may have initial difficulty interacting with people from other groups. They may feel insecure and unsure of social norms. Even those who have spent their entire lives in the U.S. may not speak English well, and may need the kind of support and help with daily life that one would offer to refugees from a far-off land. They may not know how to use smart phones, the Internet, or public transportation. Lack of Financial Resources: When fleeing an abusive partner, Hasidic women are often not only financially impoverished themselves, they are also not apt to know anyone who is willing to share resources with them. In fact, members of their former communities may try to deprive them of housing and employment. Footsteps provides a list of resources for people leaving Hasidic communities. In Israel, Bat Melech provides resources on domestic violence for Jewish women. The Shalom task force is an educational organization dedicated to providing support and education to Orthodox couples, including those living with domestic violence. In the U.S., most Hasidic women will seek services from their local domestic violence agency.